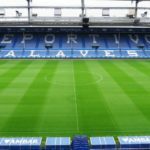 Alaves made a nightmare start to last season and had already sacked two coaches by the onset of winter. However Abelardo came in and did a remarkable job as the Basque side found some real form at home to ultimately ease their way to safety. That will raise expectations in Vitoria heading into the new campaign but they can’t afford to forget the basics or get ahead of themselves. Another season where they avoid a relegation battle would be a success for a club that is still in the process of re-establishing themselves as a top flight outfit following on from a difficult decade where severe financial problems sent them to the brink of extinction. They’ve used the loan market well in recent years and may need to do likewise again with Munir and Alfonso Pedraza returning to their parent clubs this summer. Verdict: Another bottom half finish but they should have enough to beat the drop. Last season was one to forget in Bilbao. José Ángel Ziganda never looked like successfully filling the boots left by Barcelona-bound Ernesto Valverde and there was an air of inevitability that his reign would be brought to an end as Athletic slumped to a disappointing 16th place finish. Eduardo Berizzo is a decent appointment and should bring a bit more excitement while it’s a big season for the talented Iker Muniain who will hope to have put his injury problems behind him. Berizzo ought to get more out of this team than his predecessor but with Kepa departing and key striker Aritz Aduriz a declining force at 37, it’s going to be tough for Athletic to compete with the teams at the top end. Verdict: Top half finish is possible under new management but Athletic will still lag behind the likes of Sevilla and Villarreal in the race for Europe. It has been an eventful summer at the Wanda. Nobody expected Antoine Griezmann to still be here heading into the new season but his decision to turn down Barcelona and stay at Atleti is a major boost. Thomas Lemar was brought in, perhaps as Griezmann’s replacement so it will be interesting to see how Simeone finds a place for the two Frenchman as well as Diego Costa, who will be eager to go having missed half of last season. 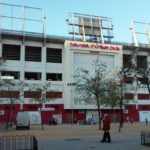 The departure of veterans such as Gabi and Fernando Torres and the arrival of some fresh young talent suggests Atleti are heading into something of a new era but some of the old guard remain and in theory Atleti are as well equipped to challenge for the title as they have been since they won it in 2014. Verdict: Atleti have to be viewed as genuine title contenders but will need the ‘big two’ to have below-par seasons if they are to win it. Ernesto Valverde’s first season at Camp Nou was a curious one. They won the title with ease, only losing one game and put in a vintage performance to destroy Sevilla in the Copa del Rey Final. 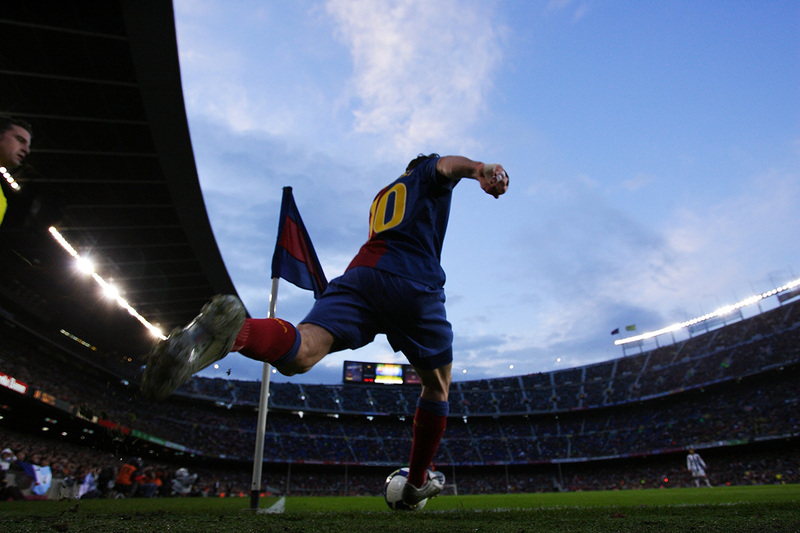 However they rarely hit top gear in truth and were again hugely reliant on the talents of a certain Leo Messi on the occasions when they were seriously tested. Another poor European exit and a failure to land top transfer targets means heading into the new campaign, FC Barcelona isn’t quite the happy camp you might expect of defending champions. The players they have brought in this summer are mostly aimed at improving the squad rather than the starting eleven but the quality they possess cannot be doubted and Barcelona head into the new season in La Liga as very much the team to beat again. Verdict: If Messi stays fit, it’s hard to see anyone stopping Barca. Celta Vigo made one of the surprise moves of the summer by bringing in Argentine coach Antonio Mohamed from Mexican club Monterrey. He has never previously coached in Europe so it represents a bit of a gamble and the team has also undergone a major makeover with key men like Daniel Wass, Pablo Hernandez and Jonny Castro leaving. They should at least be able to rely upon the goals of Iago Aspas who forged a formidable partnership with Maxi Gomez last term but defensively Celta could be very vulnerable again and they appear to be heading into the new season with less midfield quality than they ended the last. Verdict: Too many important players have left. Celta may struggle to better last season’s disappointing 13th place. 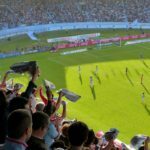 Basque minnows Eibar defied the odds once again last season as they secured a top half finish despite continuing to operate on one of the smallest budgets in the division. It’s not easy to keep on performing miracles every season and again Eibar will have to regroup following some notable departures. However their biggest coup may just be that coach José Luis Mendilibar has agreed to stay on for another season and it’s hard to see them being in any serious danger with him at the helm. The bar has been raised by a top half finish last term but the reality is that safety will still be the principal goal for one of the smallest ever clubs to play in La Liga. Verdict: Eibar won’t be in any danger but will struggle to match last season’s excellent top half finish. Espanyol were another difficult team to figure out last year. They beat all of the ‘big three’ (win over Barcelona came in the Copa del Rey) but struggled for any kind of consistency and in the end 11th place somewhat flattered them. The departure of Gerard Moreno, who scored a huge 44% of their goals in La Liga last term, is a major blow and they desperately need replacement Borja Iglesias, who has a great record in the lower leagues, to make an impact. On the coaching front, Quique Sánchez Flores left in April and Rubi has taken over. He guided Huesca to promotion last term but has a less than convincing record in the top flight and it could be a difficult season for Espanyol given their only other notable signings were both at the club on loan last term. Verdict: Espanyol will be in real danger of relegation unless Iglesias can deliver at the highest level. 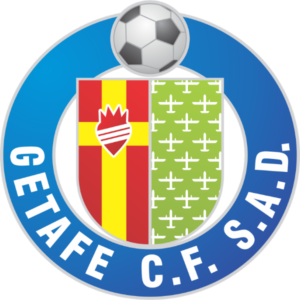 Getafe were one of the red hot favourites for the drop last term but surprised everyone by ultimately getting very close to reaching Europe. It’s difficult to know what would constitute a good season for them this term. On the surface, they certainly over-achieved on their return to the top flight but the Getafe board have surprisingly been quite bold in the transfer market and in terms of net spend, only three teams have invested more. With José Bordalás at the helm, they will be physical and tough to beat again and their squad appears to have more depth to it this term so they won’t be ruling out another top half finish. Verdict: Getafe could surprise people again and are darkhorses for European qualification. The main change this summer at Girona is the departure of coach Pablo Machin who has moved to Sevilla having done a brilliant job with the Catalan club. Former Sociedad boss Eusebio Sacristán replaces him but not a great deal has changed in terms of playing personnel. Johan Mojica and Marc Muniesa have converted loan moves into permanent deals after impressive campaigns while there have been no major departures. Eusebio would perhaps be wise to not try and change too much with Girona’s 3-4-3 formation causing big problems for many teams last term. If they can use the loan market well again, they ought to be capable of comfortably avoiding trouble. Verdict: Girona are capable of another mid-table finish despite loss of coach. Huesca are the latest club to be making their top flight debuts. The likes of Eibar, Leganes and Girona have all done well in recent years having finally reached La Liga for the first time but not many people are expecting a repeat from Huesca. Their promotion-winning coach Rubi has left to join Espanyol and they’ve gone for a really left-field option in the shape of former Atleti goalkeeper Leo Franco to replace him. The Argentine only retired from playing two years ago and has never previously coached so it’s certainly a gamble and while numerous players have come in, you have to question whether they have anything like the sort of quality needed to survive. Verdict: It’s hard to see Huesca coping with life in La Liga. They may buck the trend of top flight debutants succeeding. 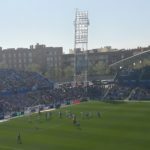 Leganes are now heading into their third season in the top flight but they will do so without Asier Garitano this season with their inspirational coach leaving to join Sociedad. That’s unquestionably a blow but they’ve done well to bring in a coach of Mauricio Pellegrino’s calibre and again they look to have used the loan market pretty well to assemble a squad capable of being competitive. Leganes finished in 17th for the second season running last term but they were never in any danger of going down and in terms of points were closer to the to top half than the drop-zone. Again they will be one of the favourites for the drop but sensible recruitment both in terms of coaching and playing personnel suggests they will have just enough to avoid relegation again. Verdict: Bottom half certainties but Leganes have enough about them to stay afloat. Levante looked like a sinking ship as last season headed into the second half but the promotion of Paco Lopez to the top job in March sparked a stunning run of form which saw them easily beat the drop not to mention inflict on Barcelona their only defeat of the entire league season. Since then they’ve sold key midfielder Jefferson Lerma for £25 million to Bournemouth, which made good business sense and they have reinvested nearly all of that money in the team with a host of new arrivals. They have turned the loan deals of Coke and Ruben Rochina into permanent moves and kept key winger José Luis Morales too while Montenegro international Nikola Vukčević should prove a direct replacement for Lerma. It will be tough for Lopez to replicate the brilliant form from the end of last season though and survival will again be the primary objective. Verdict: Bottom Half finish but Levante should have just enough to stay up. Rayo are a pretty popular addition to the top flight and their Segunda Division title success last term means that for the first time, there will be five Madrid clubs in La Liga. Michel has done a fine job since being promoted to Head Coach in 2017 but he will have to cope without one of his star performers from last season after 19 year old midfielder Fran Beltrán joined Celta for €8 million. While they are still operating on a net transfer profit, Rayo have at least shown some ambition and former Swansea and Betis defender Jordi Amat returns and could be key in trying to stem the flow of goals conceded, which has typically been a big problem for Rayo whenever they’ve appeared in the top flight previously. Verdict: Relegation candidates for sure but the best equipped of the new boys to stay up. Could narrowly avoid the drop. Betis were one of the real entertainers in La Liga last season with Quique Setién’s attacking brand of football going down well in the green and white half of the Andalusian capital. No only was it exciting but it produced results and Betis ended the season in 6th and will be in the Europa League this term. Competing on two fronts will of course be a challenge but they’ve brought in some excellent free transfers with the likes of Sergio Canales and Takashi Inui appearing good fits for the Setien way. The real marquee signing is that of William Carvalho with his capture a real statement of intent but it was only really funded by the sale of youth team product Fabian Ruiz, who was a big factor in Betis’ success last term but has left for €30 million to join Napoli. Verdict: Top half finish but continental commitments may prevent Betis qualifying for Europe again. Less than three months on from a third straight Champions League success, Real Madrid are embarking on something of a new era with a new coach in the shape of Julen Lopetegui and without their talisman of close to a decade, Cristiano Ronaldo. 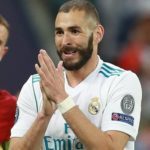 He is the only truly major departure so far in terms of playing personnel though so Lopetegui still has a very talented group of players at his disposal but he will need to find a formula that will bring greater consistency in La Liga after Los Blancos finished a distant third last term, only occupying a top two position for one week. Gareth Bale could be key having looked to be on his way out of the Bernabeu at the back end of last season while the likes of Isco and Marco Asensio may benefit from a coach that has helped develop young Spanish talent in his previous jobs. Verdict: Real will close the gap to Barcelona but struggle to finish above them. Sociedad finished a disappointing 12th last season with a dodgy defence contributing to that and certainly to the dismissal of Eusebio Sacristán in March. While they’ve been relatively quiet in the transfer market, the hope will be that new coach Asier Garitano will make them much tougher to break down, with defensive solidity the principal ingredient in his successful Leganes’ sides of recent seasons. It may lead to a major change in style and the Sociedad goal-fests of last term may be a thing of the past. They should be capable of bettering last season’s 12th place finish but may need to invest some more of the money received for Álvaro Odriozola if they are to seriously threaten the European places. Verdict: Garitano will improve Sociedad but top six may be just beyond them. Sevilla made a bit of a mess of their first post-Monchi season in truth yet still somehow managed to make a Copa del Rey Final, Champions League Quarter-Final and qualify for Europe via the league. The fact that kind of season could be seen as a relative failure is only testament to the remarkable extent of their success over the past decade. Two mid-season sackings makes it pretty clear that all was not well but they do appear to have made a good appointment this time around and perhaps crucially, a more Sevilla-like appointment in the shape of Pablo Machin. An early start to this season in Europa League qualifying ensures they will need a strong squad if they are to challenge on multiple fronts and they do have numbers but it may take Machin some time to determine his strongest eleven. Verdict: Sevilla will fall short of a top four finish but could be a big threat again in the cups. Valencia were brilliant last season with Marcelino bringing order to the Mestalla at last and they were fully worthy of a top four finish. The main concern was a lack of strength in depth and it was no coincidence that their worst league form of the season coincided with their run in the Copa del Rey. The added demands of European football this term makes that a worry but they have added some good players with the arrivals of Kevin Gameiro and Michy Batshuayi meaning there is real competition for places up front. Daniel Wass is a smart signing in midfield while they would have been very happy to turn Geoffrey Kondogbia’s loan into a permanent deal. If they can do likewise with winger Gonçalo Guedes, they will have had a good summer. Verdict: Valencia will still be the ‘best of the rest’. Valladolid sealed their return to La Liga after a five year absence by winning the Segunda Division play-offs at the end of last term. However it’s fair to say that they could find life very tough in the top flight this term. One major problem is the departure of Jaime Mata, the top scorer in the second tier last season with 33 goals. Valladolid would never have reached the play-offs without him and to make matters worse he left on a free to Getafe so they’ve not really had any funds to re-invest or improve on a defence that could be easy pickings for many teams in La Liga. A few loan signings and the €1 million purchase of midfielder Rubén Alcaraz is unlikely to transform them into a team capable of competing at this level. Keeper Jordi Masip could be a busy man over the next nine months. Villarreal have on the face of it spent pretty heavily this summer with the €40 million sale of Cédric Bakambu in February ensuring they had funds to spend. That certainly represented a good deal from a Villarreal perspective and they’ve signed a proven La Liga striker in the shape of Gerard Moreno for half that fee. The jury is out on their other business though with the departure of young midfielder Rodri to Atletico Madrid a real blow while they also spent big on Karl Toko Ekambi, a striker who has only really had one good season in the French top flight. It’ll be good to see Santi Cazorla back in Villarreal colours but it may be unrealistic to expect the 33 year old to rekindle the old magic after severe injury problems at Arsenal. The Yellow Submarine have finished between 4th and 6th in all five seasons since they returned to La Liga in 2013 and they’d probably settle for a repeat again this term. Transfer activity is accurate as of 12th August 2018. Keep tabs on our La Liga predictions and match previews for the latest ahead of each round of fixtures. Do you think you could add a potential line up for each team. Trying to set my fantasy team and its damm hard with all these new signings. Will be a fair bit of guesswork picking some of these team’s initial starting elevens! We are likely to see a lot of late loan signings too so it could be very different in a couple of weeks. 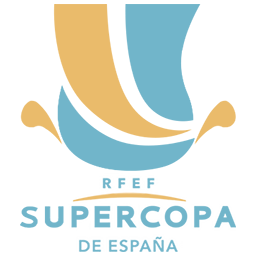 I’d suggest to keep checking this page, which will add predicted lineups for all the games this weekend.